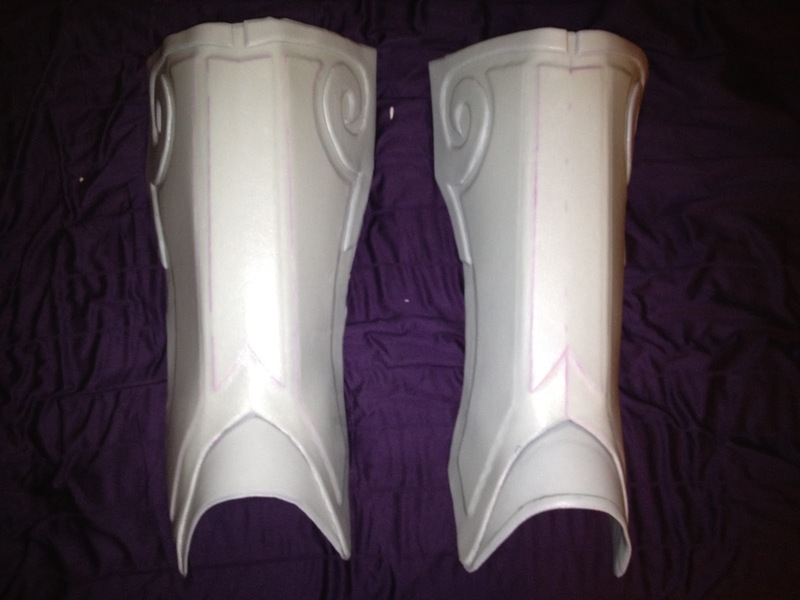 I have returned to working on the lower leg armor for Varian Wrynn. This piece is constructed with layers of craft foam and Wonderflex. I still need to add another layer of the outer trim, the bases of the lion face knee plates, and the straps to affix it to the boots. Once everything is in place, I'll use the heat gun to do one final re-shaping before I begin painting.